Fresh off a whirlwind year in which the James Beard Foundation named her 2014 Best Chef: Southeast, passionate mind Ashley Christensen found new inspiration in an old space, transforming a bank and former funeral home into a restaurant she aptly named Death & Taxes. The downtown Raleigh restaurant, with a focus on wood-fired cooking featuring Southern ingredients, has immediately turned heads. 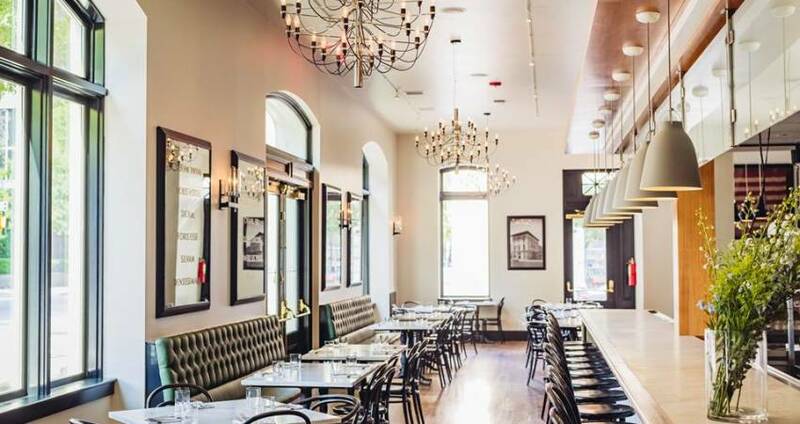 The James Beard Foundation named Death & Taxes one of five finalists for their prestigious "Best New Restaurant" award, and now Food & Wine magazine has pronounced it one of 10 "restaurants of the year." Christensen has led a foodie renaissance in Raleigh in recent years, opening a number of local hot spots offering up everything from honey-drizzled fried chicken to seriously-gourmet hamburgers served with spiked milkshakes. To learn more about Ashley&apos;s restaurants and get ideas for group outings, click here.